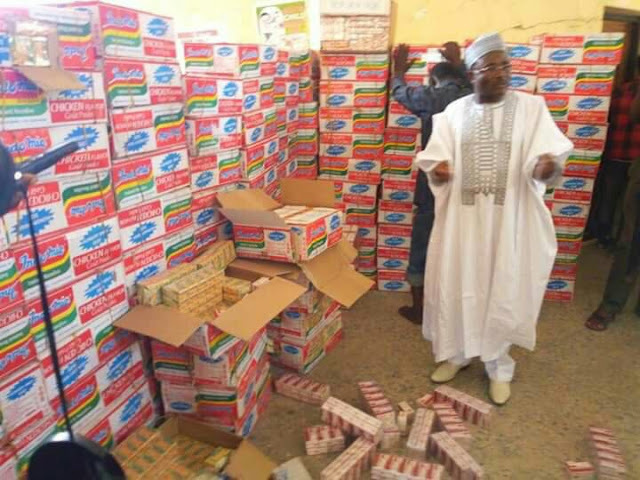 Security operatives of the National Drug Law Enforcement Agency, NDLEA, have intercepted 183 cartons of Indomie Noodles that were used in concealing illicit drugs by barons worth 19million. Addressing journalists in Yola on Friday, the NDLEA Commander, Yakubu Kibo, said it’s a new method deployed by criminals in the guise of doing genuine business to saturate the society with dangerous drugs. The NDLEA Chief said there was a direct link between drugs and crimes such as murder, insurgency, armed robbery, r*pe and even election violence. The Command solicited the support of the public by joining in the fight to rid the society of the menace of hard drugs. what kind of drug is it. when giving such news, go on full details.